On February 2nd, 2019 Anna-Maria Vafeiadou will defend her PhD dissertation on "Species Coexistence of Marine Nematodes: Environmental Conditions, Resource Utilisation and Microhabitat Partitioning as Possible Drivers of Niche Differentiation". 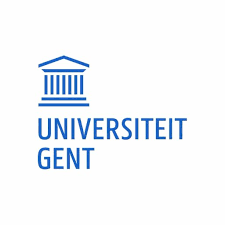 This research concerns a joint PhD project between Ghent University and Aristotle University of Thessaloniki, with respectively prof. dr. Tom Moens and prof. dr. Chariton Chintiroglou as promotors. The defence will take place at 16h30 at Auditorium 1 at Building S8, Campus Sterre (Krijgslaan 281, 9000 Gent). According to the classical ecological theory of coexistence, two functionally similar species cannot coexist due to their strong competition; one will outcompete the other. Niche differentiation is the principal driver of species coexistence, as competing species with similar ecological functions can diversify their ecological niche so that the smaller their niche overlap is, the more stabilising is their niche partitioning. Apart from the environmental factors that can define a species’ niche, species interactions also play a role in modifying the realised niche, and further affect coexistence dynamics. Niche differentiation may be driven by several mechanisms that are not mutually excluded. Different tolerances to environmental factors, resource differentiation and microhabitat partitioning are examined in this PhD thesis as potential drivers of niche differentiation of marine nematodes.